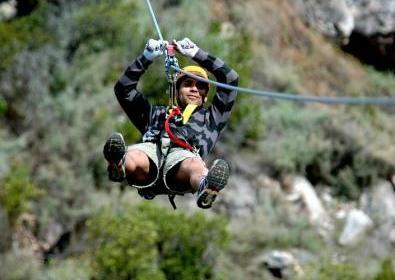 Ceres Zipslide Adventures offer the longest Zipline Tour in Africa. 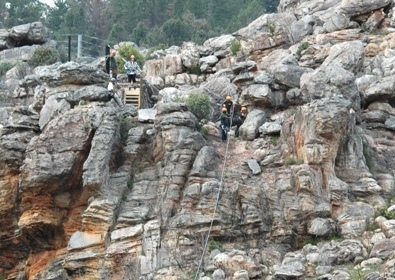 The tour takes place in the Schurweberg Mountains below the Koekedouw Dam in Ceres. Tours depart every 30 min and groups sizes can be up to 12 people who are accompanied by 2 professional guides. 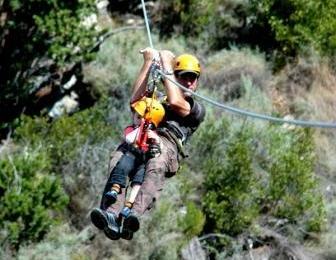 Children from 3 years can join in the fun, but will be sliding Tandem with either a parent or one of our lead guides. 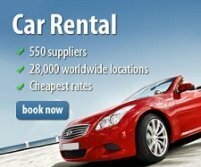 Where: The office situated at the "Natuurtuin" (Nature garden) as you enter Ceres from the Mitchells Pass opposite the Golf Course. 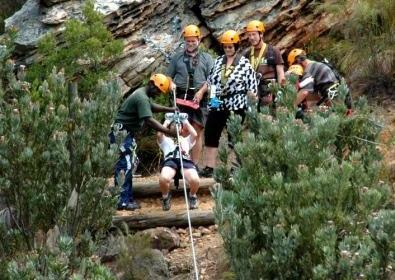 Return from Ceres Zipslide Adventures page to Homepage.